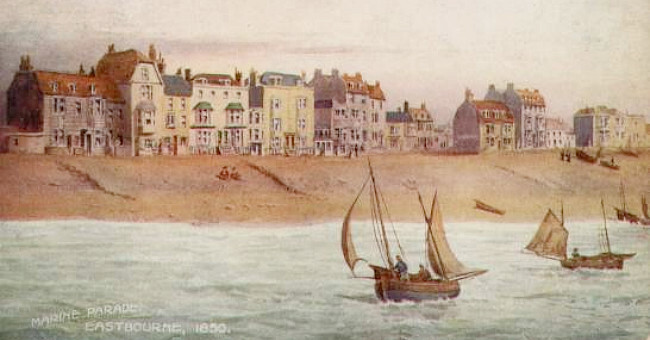 The painting shows Marine Parade as it was in 1850. Numbers 7 & 8 are in the middle, the white building with the green canopies above the bay windows. 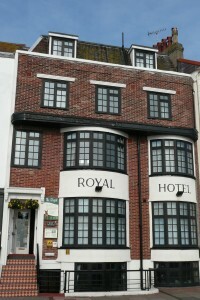 The Royal today is the original no.8 with the addition of no.9, the smaller building on the right. We believe that the new frontage was added in the late 1920s or early 1930s. 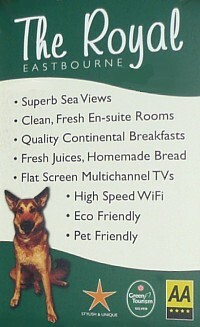 Our substantial continental breakfasts are delicious. Real ground coffee, freshly squeezed orange, grapefruit or apple juice, a selection of organic yoghurts, cheeses, cereals, seeded breads and just-baked croissants, homemade fruit salad … we believe you’ll be impressed. Don’t forget to pre-order your morning newspapers when booking your room, or simply inform us when you arrive. 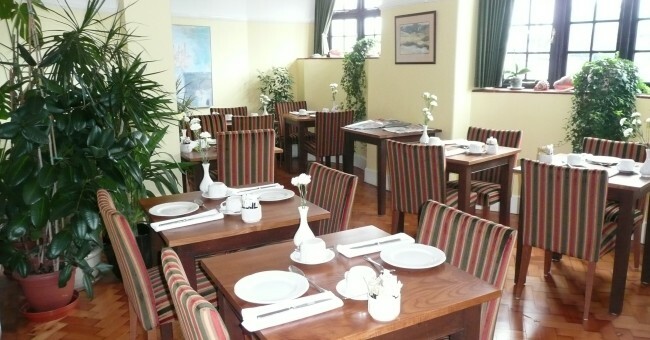 Our Breakfast Room, where you can enjoy some of the finest breakfasts in Eastbourne!